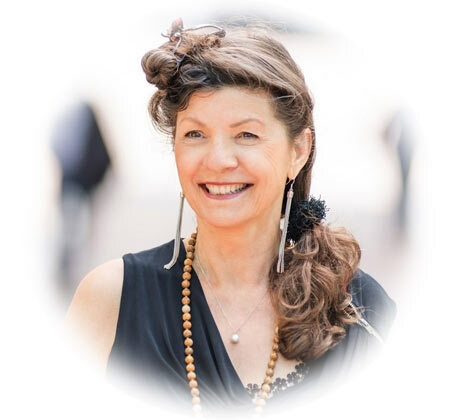 Twelve years in health care and almost three decades of living and working in a dynamic, intentional community have molded me into a warm, commonsensical counselor for any issues that weigh upon the heart, whether in your private life or in work-related matters. For 28 years, as one of the core founders of Training & Retreat Center Venwoude, I have given my all to this experimental community, pioneering new ways of living and working together in the areas of personal leadership, business management, intimacy and sexuality, as well as spirituality. In this bustling beehive I have had many functions, both in running the center and as a trainer/coach. I attended and assisted in countless trainings in bodywork, breathwork, sexuality and personal leadership. I gave massages, coaching and relationship counseling. I also developed my own trainings: ‘Enjoy your body’ and ‘Being single is a lonely affair’. Eventually, I took over a lot of the work of my life partner, Venwoude’s founder Ted Wilson. I started to give lectures and lead retreats and weekend workshops on meditation and spirituality, both during his illness and after his death in 2007. Through my connections with many international spiritual teachers over the years, I know the blessings and also the pitfalls of intense self-inquiry from my own experience. Ideas about what my life should look like, I’ve had to release, sometimes only after an intense inner struggle. I never became what I thought I had to become. But I did receive all that I searched for, in terms of fulfillment. Not just a little bit, but in abundance. And this adventure continues to deepen. In 2016 it was time for a new step and I now find myself on a new journey in this wonderful life! As always, in full surrender to the beauty and greatness that is everyone’s birthright. I am committed to our ‘de-velopment’. To yours and mine. In every meeting, in every relationship with every human being, something is brought to the Light, some facet of the diamond is illuminated. What a joy, what abundance!